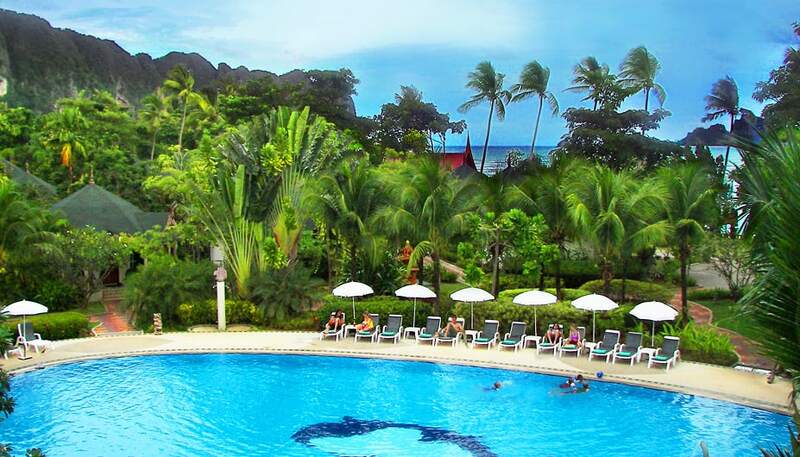 The Golden Beach Resort is located on the beach front of Aonang with spectacular view of the emerald green water of the Andaman Sea and with picturesque mountain view at the rear of the resort. 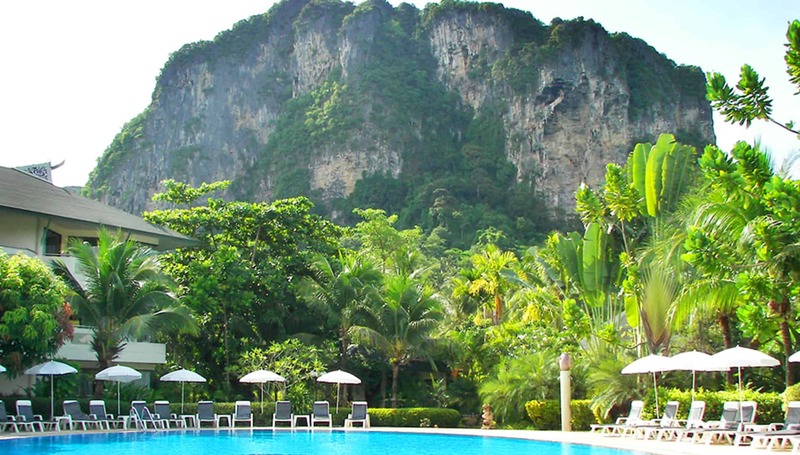 Situated on the shore of the Andaman Sea, krabi is recognised as one of the most beautiful place in the South of Thailand with its amazing limestone rocks protruding out inland as well as outland and scattered around as islands. There are over 130 islands in its surroundings including the most stunning : Phi Phi Island re-nowned for its beauty and the movie "The Beach" starring with Leonardo Di Caprio. Situated on a 4 acres of paradise, which contains 42 Deluxe Buildings (Seaview, Mountain View, Garden and Pool View) and 3 Superior Suite Rooms. There are 10 Pavilion Suites bungalows (7 Doubles & 3 twins with a superfluous area of 50 sq.m. ), 3 Pavilion Seaview bungalows (3 twins, 60 sq.m. ), 12 Executive Pavilion bungalows (Jacuzzi Villa) all scattered around a well maintained luxurious tropical garden. 70 Guest-Rooms are comfortably furnished and located in either the hotel or in traditional style Bungalows scattered through the resort's garden. Each room has individually controlled air-conditioning with a remote control, a bathtub shower, hot and cold water, toiletries, satellite television, IDD telephone, private balcony/terrace, coffee corner, mini bar and hair dryer.